Beyond The Black are most certainly that. And with a sensational new line-up ready to conquer the planet, Beyond The Black’s ascension is guaranteed. 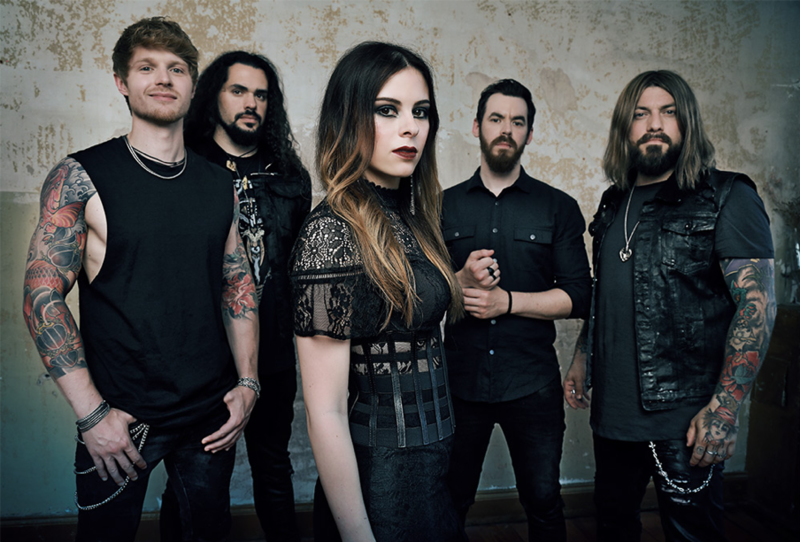 Joining dynamic, world-class frontwoman and vocalist Jennifer Haben are Christian Hermsdörfer (guitar & backing vocals), Tobias Lodes (guitar & backing vocals), Jonas Roßner (keyboards), Stefan Herkenhoff (bass) and Kai Tschierschky (drums). This power-packed sextet will immediately dazzle audiences on Beyond The Black’s own headline tour in November, as well as in support of the mighty Scorpions during the same month in Germany and France. Further road adventures will come when Beyond The Black join forces with Powerwolf & Epica in January & February 2017, with a US special guest slot slated in Spring 2017. To celebrate the new band’s union, an international tour edition of the Lost In Forever album will be released worldwide on January 13th 2017, featuring four brand-new bonus tracks. Beyond The Black have also written the title track for forthcoming German movie Die Ketzerbraut, which tells the story of a 16th century well-to-do merchant’s daughter who one night sees her life turned upside down as everything is taken from her, creating a path of treachery and revenge in renaissance era Europe. Haben enjoys a cameo appearance in this epic drama, and the title track will also be available on the domestic release of the Lost In Forever tour edition. …if you think that’s a lot of information to sink your teeth into, disengage them fast and get ready to bite down once more in the near future, because with Beyond The Black, the news and activity is only going to increase! Jennifer Haben and her band colleagues celebrated their live debut on stage at the legendary Wacken Open Air 2014. A few months later they were supporting the legendary SAXON on their UK tour. On February 13th 2015 the band released their debut full-length album Songs of Love and Death, which hit the German top 20 album charts, and which was produced by melodic metal maestro Sascha Paeth (Avantasia, Edguy, Epica, Kamelot, Rhapsody). You’ve probably already guessed that the album was royally received throughout Europe, with Haben establishing herself as one of the leading voices in hard rock and metal music. 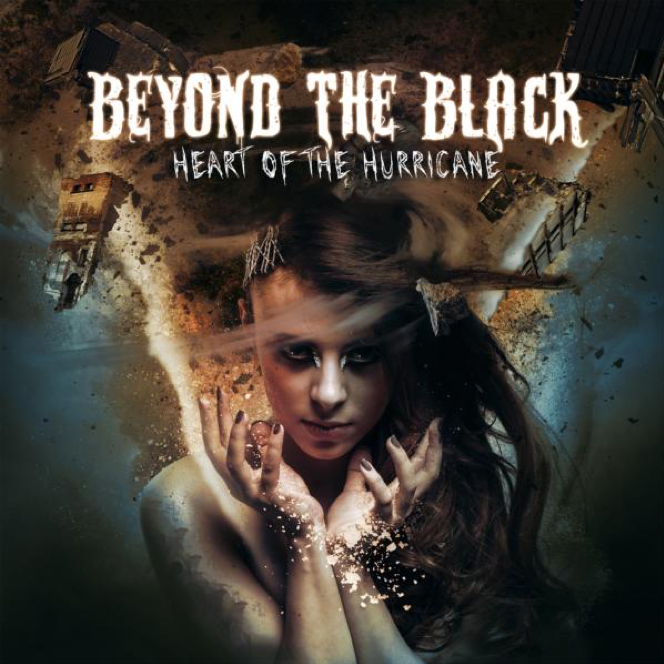 Beyond The Black continued to conquer the road. They played their own headliner tour in spring and autumn 2015, and featured at several of Germany’s biggest rock & metal-festivals. Momentum is beautiful thing; Beyond The Black supported Queensrÿche in Holland and Within Temptation in Switzerland, and their incredible ascent culminated in them receiving the “Best Debut Album 2015” Metal Hammer Award. Enough for the year? Hardly. Because between all that stuff, they were working on their second full-length album “Lost in Forever”, which was released in February 2016 (G/A/S), entered the German charts at #4 and will soon enjoy a worldwide release. Fortified yet further with fresh energy, Beyond The Black went on their biggest tour so far in spring 2016, as a special guest on The Scorpions 50th Anniversary World Tour (do we really need to remind you they are Germany’s most successful-ever band?). Yes indeed, Beyond The Black’s incredible story continued! On May 30th and 31st 2016, they supported metal heroes Korn on some of their 2016 world tour’s European dates, and once Beyond The Black have blown people away at major festivals like With Full Force, Wacken Open Air, Bloodstock Open Air and Summerbreeze Open Air, they bring their own headline show through major cities in Germany this November. If you thought 2015 and 2016 were Beyond The Black’s shining lights, then consider 2017 high-beams of the brightest order.